The signatories include universities (e.g. Oxford and Cambridge), charities (e.g. Cancer Research UK and the British Heart Foundation), Pharmaceuticals (e.g.. Pfizer and AstraZeneca), Learned societies (e.g. The Royal Society and The Physiological Society) and major funding bodies (e.g. The Wellcome Trust and the Medical Research Council). It is important to realise that this openness is not new. Many of the signatories have been active in explaining the animal research they do. In January this year the University of Oxford invited the BBC to film inside its primate facility. Last year, Alzheimer’s Research UK produced both an informative animal research leaflet and a fantastic website showing its dementia lab, including discussion of animals used. These are just a few examples. The story of the Concordat started in 2012 when Ipsos-Mori polls showed that 40% of the British public would like more information about animal research. This led to the Declaration on Openness in Animal Research in which forty organizations agreed to develop a Concordat to set out how they should provide more information about their research programmes. This Concordat has now been realised, with many extra organizations signing their commitment to it. For many years, the only ‘information’ or images that the public could access about animal research were provided by organisations opposed to the use of animals in scientific progress. This is why many people still think that animal research means testing cosmetics and tobacco, despite the fact that these have been banned in the UK for more than 15 years. The Concordat is an excellent opportunity to dispel these myths and give the public a chance to see the ground-breaking research that is being done on its behalf. The responses by animal rights groups in The Guardian have been fairly muted. The BUAV condemned the Concordat, saying: “Informed public debate is essential but it cannot happen without meaningful information being available. … What they should not do is tell the public that this is the same thing as genuine transparency. The concordat approach is simply transparency on their terms“. The hypocrisy of their statement is clear when you remember that in 2010 the BUAV called for “a change in the law to allow people to find out what is happening to animals and why“. Why is a group that purports to want greater openness criticising a commitment by research institutions to do just that? Could it be that as the research community puts out more and more information about when, how and why they do animal research, the less space there is for groups like the BUAV to fill the shrinking void with their misinformation and pseudoscience. Speaking of Research support the aims of greater openness in animal research and so applaud the efforts being made in the UK to improve communication between the research community and the public. We look forward to seeing how institutions will be moving forward with their commitments. Posted on May 14, 2014 May 14, 2014 by EditorPosted in News, Outreach NewsTagged BUAV, commuicating animal research, Concordat on Openness, Declaration on Openness, transparency, understanding animal research. I am a veterinary scientist at a major bio pharmaceutical company, and have been supporting public outreach for years. I think this is a step in the right direction. As far as “surprise visits”, we get those– from the USDA and AAALAC. There is too much company-proprietary information to allow general public or journalists to do so. For this same reason, there will never be cameras allowed. The USDA is very strict in animal welfare and care, and will fine and/or cite violations. Their full reports are available to the public through the Freedom of Information Act. AAALAC will pull accreditation if an institute is not following regulations set by The Guide. One final thing: I do what I do because I love animals… all of us do. We would not be in this industry if we did not. It seems that the basic theme here is that you guys are all for more transparency and openly sharing information, as long as it is the information that the scientists and institutions want to share and on their terms. The idea of online video streaming being available for the public to see exactly what is happening to, for instance, monkeys being deprived of food and water until they perform some task or while electrodes are implanted in their brains will not happen in the near future. However, perhaps as a compromise, it might be a good idea if it was required to have 24 hour filming of these animal research institutions that is available to the governing bodies that oversee the use of animals in research AND which can be requested for inspection in specific cases where misconduct is suspected. This could also be useful for researchers to check if there was some outside factors influencing their experiments? Is this perhaps already being done? I fully agree, I’m totally against 24/7 surveillance of the public. In the US this would constitute a violation of their fourth-amendment rights. However anyone advocating violating those rights on whatever ground, government sponsored research or otherwise, cannot do so in good faith without being willing to submit to such surveillance themselves. Anything less would be the utmost in hypocrisy. I would not be against that. If you don’t have anything to hide you should not have a problem with it. The fact is, many people abuse their authority over others (be it animals or humans). There are many teachers that abuse the children in their classes – I don’t see why teachers would have any problem being filmed. There have been doctors that molest patients that are under anesthetic – I think if they were filmed this would not happen. Every one of us are being filmed on a daily basis in public. The idea would be exactly as you say, to prevent illegal activity. Animal abuse is illegal activity. I am 100% for filming farmers – the amount of abuse on farms is rediculous, people are so depraved that the cases of abuse on farms are rediculous – if they were filmed it would be great. Unfortunately money talks and in the US there are gag laws that even make it illegal to take photos of farms from outside the farm. It’s a problem because of the fundamental right to privacy. Where do you draw the line? If you have nothing to hide then it should be OK to have cameras in your home to make sure you’re not planning anything illegal or doing drugs or whatever. You should have no problem with cameras in every facet of your life; work, home, out in public. And who gets access to all this data? Should everyone be able to just go online and view any and all surveillance video? And what happens if your interpretation of what you’re viewing is incorrect? Many people that are against animal research are against any use of animals under any circumstances and providing video to them will not make then suddenly decide they’ve been mistaken. How easy would it be to edit the footage to portray something that didn’t really happen or to remove footage that doesn’t fit their ideology? There is a big difference to being filmed in your own home and being filmed while at work, especially if your work is being funded by government grants and/or your work entails legalized animal cruelty. I think the public should be able to see exactly what they are supporting. Furthermore, it is clear that your perspective is that of “what information can we provide that will convince people that animal research is all good”. Any information sharing from that perspective is useless – the idea would be to share information that could be good or bad for animal research and let the public debate and decide. If people are taking the footage out of context or editing it, you can easily disprove it and turn it against them. The misinformation spread about the mass spaying campaign probably had a positive effect for the animal testing debate as it showed how PETA (I guess it was started by them) will do anything for publicity and funding. @lsadehaan: I think the public should be able to see exactly what they are supporting. I couldn’t agree more. Without surveillance, brilliant minds are at risk of choosing a career in science for the good it might do society instead of turning to business where they can make far more money. The threat of surveillance ought to be sufficient to steer them off that misguided path, to the great benefit of business. And this is right because without business there would be no funding for science. There is surely no better cure for such misguided idealism as the threat of 24/7 surveillance. If there were reports of a doctor or teacher or farmer harming their charges then yes I would support that in those cases. The job of a scientists however requires animals to be harmed, and therefore deserves greater supervision. Additionally one could not film doctors because of patient doctor confidentiality, so your argument really is just nonsense. Seems overly intrusive to me – and certainly most teachers and doctors I know. Oversight exists from within the labs – with veterinarians and technicians whose main job it is to look after the animals. That said, I know some UK labs are using CCTV to allow them to look back if incidents are there, as well as for training purposes. @JK: Additionally one could not film doctors because of patient doctor confidentiality, so your argument really is just nonsense. What? Is there no animal veterinarian confidentiality? How dare you imply that animals are subhuman. Put that man in the stocks. Until the concordat agrees to to implement such transparency, all of their current proposals are merely ways to propagate their propaganda. James: Again, there’s a huge difference between a company using CCTV to monitor its own employees and video being available 24-hours online to any crackpot who’s out there. So, basically, what I got is that this concordat will result in more of the existing “fantastic website showing its dementia lab”, leaflets or inviting a film crew for a day information? Since all of these examples are not actually transparency but rather advertising I can see that the animal rights groups are not overjoyed and singing the praise of this fancy “concordat”. If on the other hand the concordat allowed for online access to all animal research applications and whether they were approved or not. If it included real time 24hour video streaming of animal research experiments. If it allowed journalist access to facilities without warning. I think then it would have been met with a lot more enthusiasm. But yes, even this is a step in the right direction. I found the statement: “This is why many people still think that animal research means testing cosmetics and tobacco, despite the fact that these have been banned in the UK for more than 15 years.” interesting. Having you quote this it would seem that you are against animal testing of cosmetics? Is animal testing of cosmetics still being done in the USA today? Do you support that? The reality is that these places – once upon a time – did not tell anyone about their animal research at all. 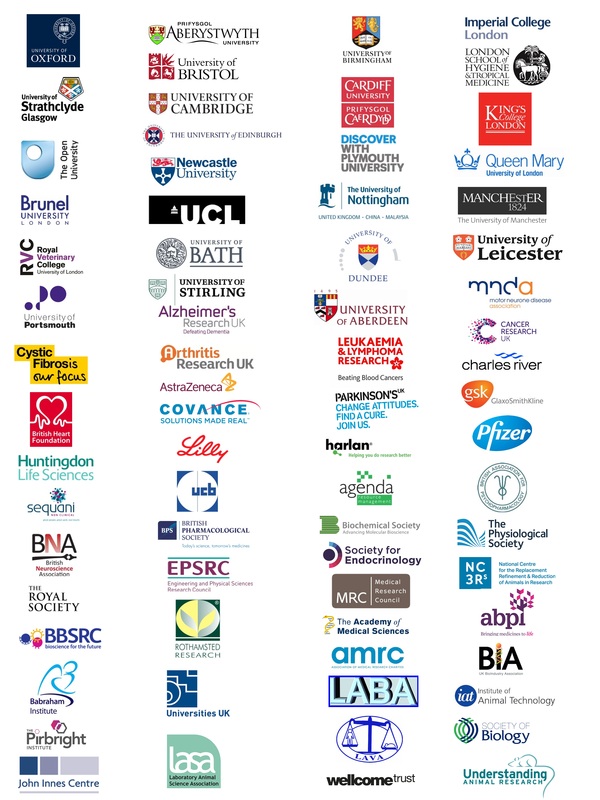 Those donating to charities, attending the university or using the medicines did not know animal research was going on – this is changing and the Concordat continues that change. That is not advertising, it is openness. You can get online access to summaries of all research currently (check Home Office website). Section 24 prevents many details of licenses being shared, but that is looking like it will be repealed (with only names, locations and IP withheld). 24 hours video streaming would do little to improve welfare, but would be an infringement of people’s rights – what would you say if I asked to have a video camera at your place of work all the time. Finally access is important, but no-warning access is impossible. Equipment must be sterilised, there are many health implications (for both visitor and animals inside, so they must have had certain jabs) – and ultimately a lab is a place of science, not a zoo where anyone can waltz in and out as if it’s not a major disruption. I already have a camera filming me 24 hours at work, I don’t see why this is a problem. I went to the “Home Office” site and could not find this information – could you help me find it? Is the point of the camera to watch you, or watch others? I do not like the direction of a society like that – should we equally film all doctors, farmers and teachers as well to ensure they cause no harm to their charges? I don’t see much advantage of a “random visit” over a pre-arranged one. Most labs I’ve been to say “ask to see in any door”, with them only refusing if there are certain studies (usually studies involving body clocks where animals are artificially in “nighttime” at weird times). Adriaan: There’s a difference between your company using CCTV to monitor your activities and wanting 24 hour real time streaming available to anyone at anytime. I’m a bit hesitant to allow online access to research applications of all types as well. Not because we’re trying to hide anything, but let’s be honest, the animal rights organizations have not shown to this point that they care about the truth. What they’re interested in is sensationalism and they’ll take things out of context or outright lie to get attention. All you have to do is look at the recent issue regarding the cats. The picture showed a bunch of cats on operating tables and some group reposted this picture online claiming to show the horrific treatment of these poor cats in research. What they didn’t tell anyone was that the picture was from a free spay/neuter clinic that the university was offering to people for their pets. Kind of an important bit on info wouldn’t you agree? So until animal rights groups start acting a bit more adult and prove they can be trusted, why should we open ourselves up to more of the same abuse and deceitful tactics?